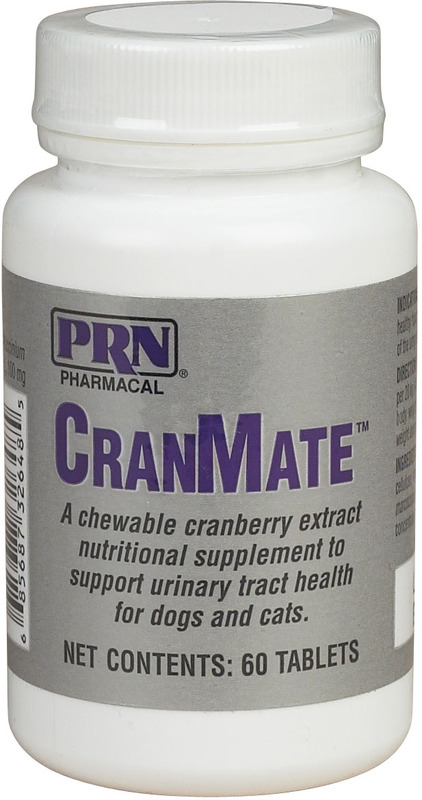 CranMate is a chewable cranberry extract supplement to support urinary tract health in dogs and cats. CranMate is a chewable cranberry extract supplement to support urinary tract health in dogs and cats. CranMate was developed to benefit dogs and cats prone to infection of the urogenital system with recurrent urinary tract infections (UTI). Each chewable tablet contains 100 mg American cranberry purified fruit extract.